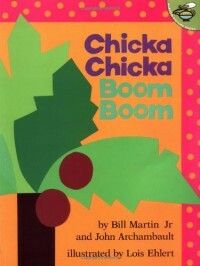 Chicka Chicka Boom Boom is a great book for kindergarten. This book can be introduced at the beginning of the year when they are learning the alphabet. The book talks about each letter in order and then recaps at the end of the book to go over the letters again. You could also make up an alphabet song using this book. Providing a song or hands on materials will help the students learn their alphabet faster.